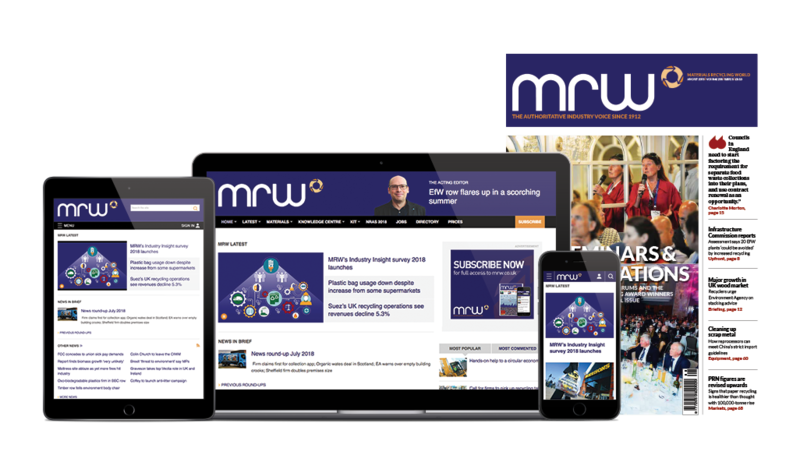 Entries for the most prestigious event of its kind in the sector, MRW’s National Recycling Awards, will need to be submitted by 1 March -– so there is still time put yourself forward. The event is the perfect platform for you to showcase your product, team, organisation or partnership, and be recognised as a leader in your field within the waste and recycling industry – and in the wider economy. There are 18 categories, whether you represent a manufacturer, recycling facility, consultancy, public sector or private organisation. Nineteen judges, who are all leading lights in the sector, have been appointed to oversee the NRAs and give their expert opinion on an exciting range of initiatives, products, services and teams. It’s a simple process to enter, and one of our team can help you with any queries.